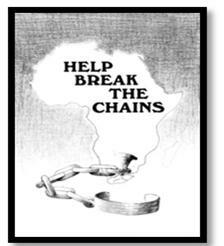 International Possibilities Unlimited (IPU) launched the Political Prisoners of South Africa Bracelet Program in 1985 to build people-to-people ties between individuals in the United States and prisoners serving life sentences in South Africa during the apartheid era. We are now launching an effort to collect, archive, and share materials in order to document the impact of the program on the lives of former prisoners, their families and those who wore bracelets as an act of solidarity with the people of South Africa and Namibia. Your participation in this short survey, which only takes 5 minutes to complete, will greatly assist us in reaching this goal. There are two things you should keep in mind while completing the questionnaire. First, depending on your answers, you will skip some questions and be directed to others. Second, your responses are completely confidential and voluntary. THANK YOU very much for taking a few minutes to complete the survey. A summary of the results will be shared on our website and Facebook page later this year. * 1. How did you get the bracelet? * 2. Where were you living when you first bought/received the bracelet? * 3. Do you remember the name of the political prisoner on your bracelet?